This is a guest post by Christine Huntingford. Learn more about hypnobirthing at her site Magical Baby Moments. There are different types of antenatal preparation that you can do to get ready for the birth of your baby; one of them is hypnobirthing. If you haven’t heard of hypnobirthing before, you might be a bit unsure as to what it is. Don’t worry it is not some hippy or mother-earth thing! It is a practical, logical and down-to-earth approach to birthing. It is based on the fact that labor and birth are natural processes that your body has been designed to do. 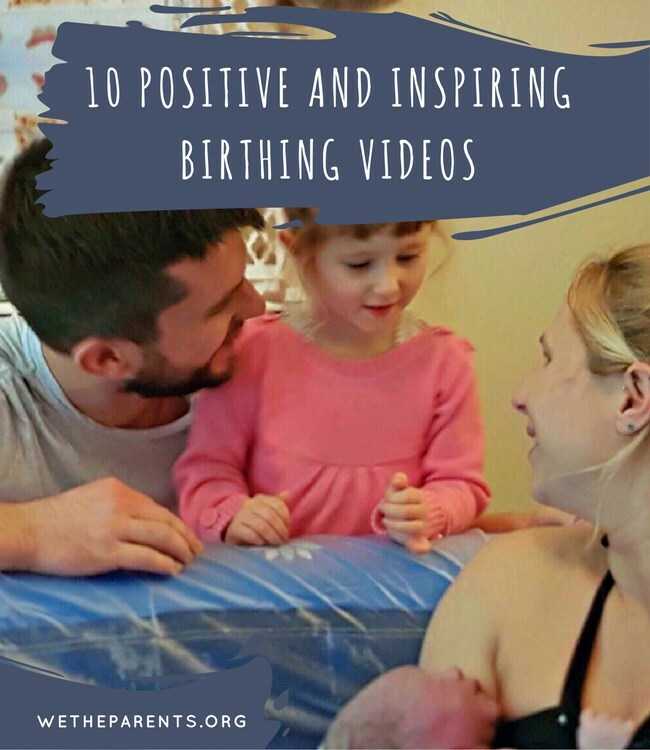 Here are 10 reasons why taking part in a hypnobirthing course will help you to have a calm, confident and positive birth experience. 1) Informed choice – all women (and their birth partners) should be informed about the choices that are available, as well as the risks and benefits associated with those choices. 2) Connect the mind and body – the connection between the mind and the body shouldn’t be underestimated. In our hectic world, we often become unaware of this association. Hypnobirthing scripts, visualizations and positive birth affirmations are all techniques used by mothers to help them remain calm, reassured and focused during pregnancy and labor. 3) Trusts in nature – all animals instinctively know how to birth their babies, so why do we as humans often look for medical assistance when we give birth? Remember, birth is not usually a medical emergency. 4) Bond with your baby in pregnancy – moms and birth partners learn how to better connect and bond with their baby during pregnancy when they learn hypnobirthing techniques. 5) Involve your birth partner during pregnancy – quite often birth partners are observers during the pregnancy stage. In hypnobirthing course, they learn, alongside the mom-to-be, the tools and techniques to enable a calmer and gentler birth. 6) Let your birth partner support you during labor and birth – when birth partners are involved in pregnancy and prepare alongside the mother for the birth, they usually make fantastic supportive birth partners. 7) Release any underlying fears you may have – with the interpretation of labor in films and TV, it is no wonder that women are often scared about labor and birth. During a hypnobirthing course, couples are given a chance to work through any worries and fears that they may have, to help them prepare for birth more positively. 8) Learn natural ways to keep your body relaxed and comfortable in labor – understanding how the body works in birth, and appreciating how your body and baby work in unison, can help a woman be relaxed and comfortable during labor. 9) Discover the best positions for labor and birth – unlike TV and films would like us to believe, being on our backs is the worst position to be in. Get off the bed for a better birth experience. 10) Learn how to use hypnobirthing for a Caesarean Section and/or a Vaginal Birth after a Caesarean Section (VBAC) – everything that is taught is applicable to all women, regardless of how their birth experience plays out. So if a mother’s birth journey takes an unexpected turn and needs to include medical intervention, everything that she has learned will still be extremely useful. As a passionate, birthing professional and hypnobirthing practitioner, I believe that it is every expectant woman’s right to have a positive experience. Give yourself the tools and the power to take control of your birth experience. Arm yourself with the right information to aide you in making the right decisions for you and your baby. Give hypnobirthing a try. If you would like to learn more about how a hypnobirthing can help you to have a positive birth experience you can buy my new book The Power of Hypnobirthing: 10 reasons why it’s for you. It is available on Kindle via Amazon or in paperback on Magical Baby Moments’ website.